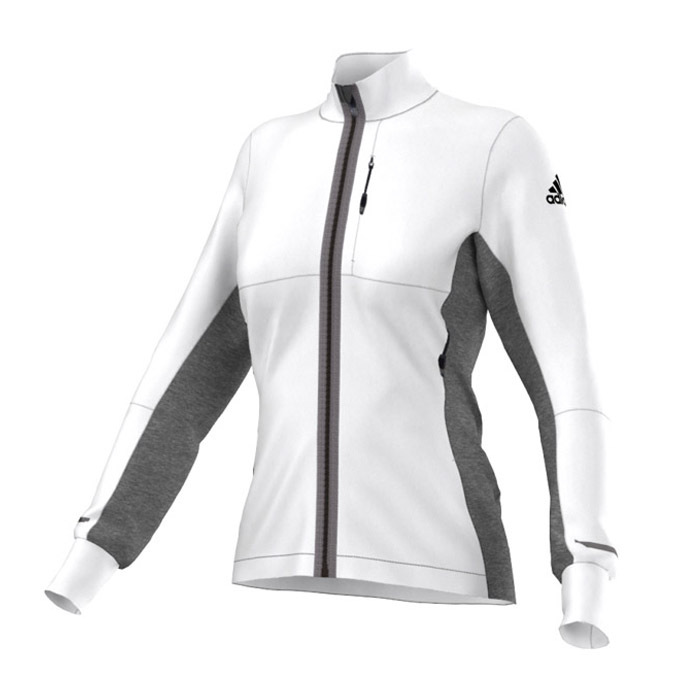 The Adidas Xperior Softshell Jacket sports a slim cut and uses highly flexible material throughout. 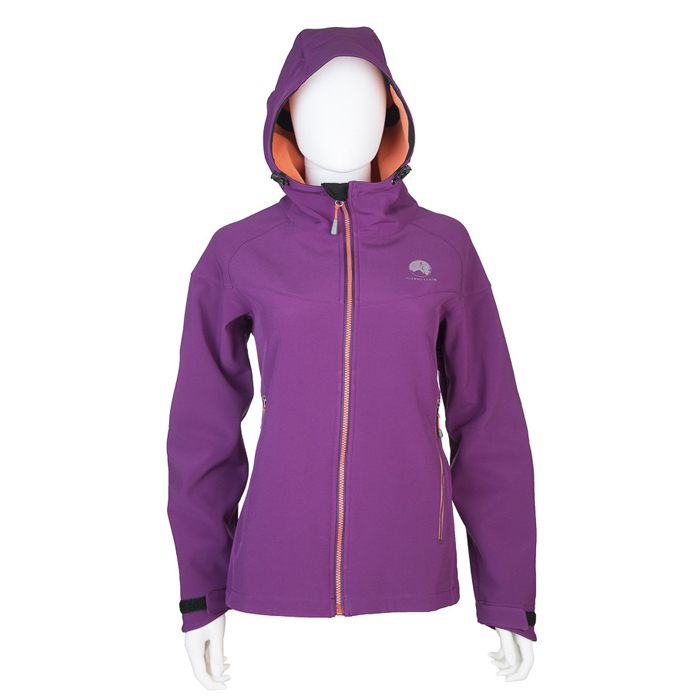 On the front and top you have softshell fabric that stands up well against wind, and will repel the occasional spray of mist, but will wet out real quick in a downpour. Under the arms and down the back this Adidas jacket included a light layer of Jacquard fleece, which expels sweat like nobody’s business, but is basically like a thick t-shirt, so avoid wetter conditions. Lining at its wrist and neck, where you get the most abrasion while running, is soft and supple. A huge feature for those runners out there are its three large pockets, all big enough to house an iPhone 6 Plus snugly as you tackle the terrain. The hem houses an elastic draw cord to cinch the waistline. Large, easy to find zipper tabs make adjustment during your run a breeze. Field Notes: This was tested on walks and runs in varying amounts of wind and rain. 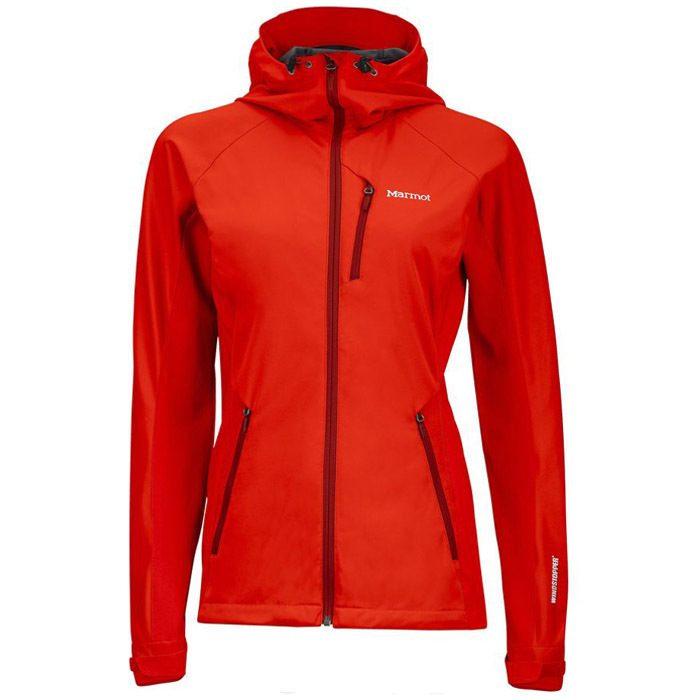 This women’s softshell jacket stood up well to the wind, allowing the Omni Wick to move sweat away from the body without giving the tester a deep chill from cold gusts. It didn’t over perform in the warmth department, but was a good shield and choice for when you are already creating a decent amount of heat through physical activity. However, we would not recommend wearing this in heavier rain situations. A light misting and our tester remained comfortable and happy, but a heavy or steady onslaught of moisture left the piece wetted out. On a wet fall run, our Active Junky tester was struggling a bit to maintain warmth. Tester Comments: “My favorite aspect about the Adidas Xperior is how well it breathes, hence my love for wearing it running. But it’s also light and easy to pack, so I can throw it in my bag to have at the ready. I found the white color great for around town, but the shock slime was superb for standing out on the trail and made me feel safer running near traffic. Made to block wind and move with you, the Adidas Xperior Softshell Jacket is a hybrid fleece softshell. 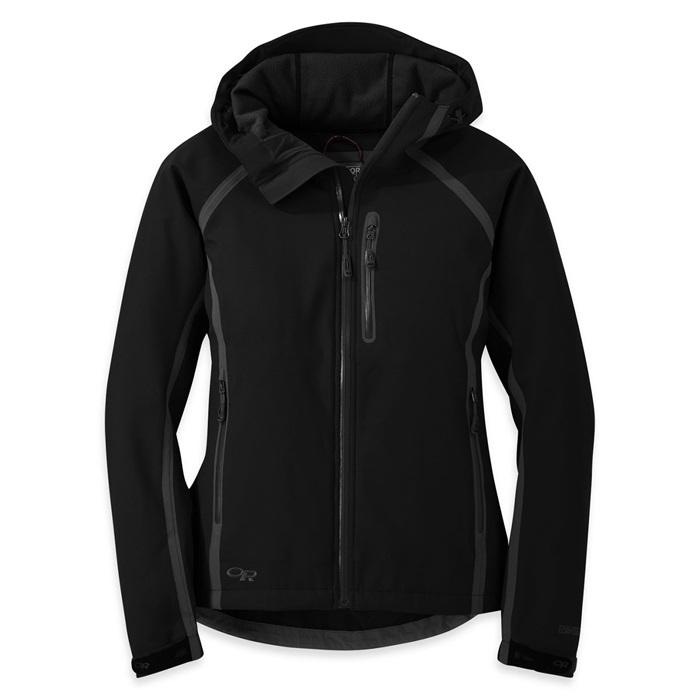 While not water resistant, it’s a breathable, comfy and lightweight softshell jacket that packs small for easy storage on the trail or mountain. Dry weather running or training in the fall to winter months. 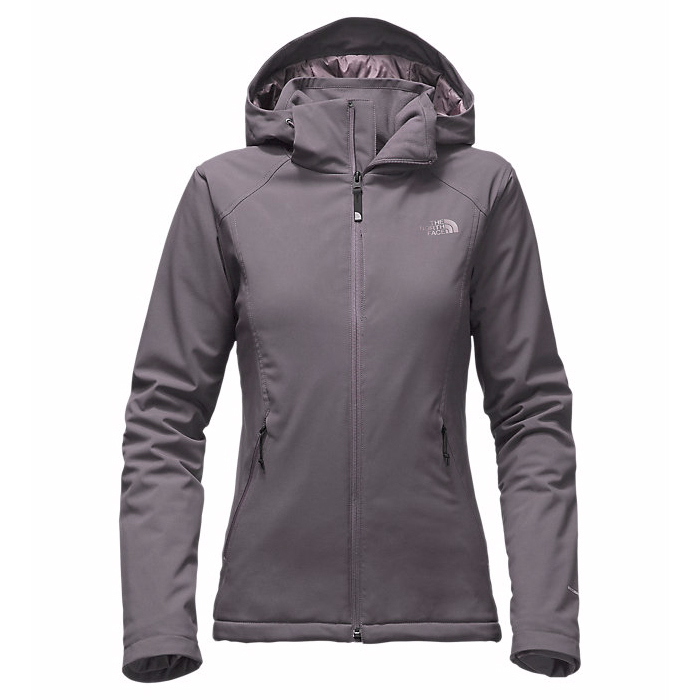 Our pick to combat the whipping winds of the Northern California coast while running on the beach.